Greenville, S.C. –General Air is back to answer your most asked questions, for the third time in a row. 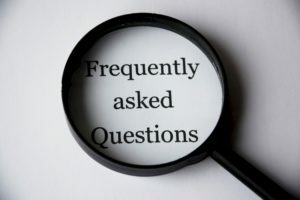 We’ve already answered several of your pressing questions, from a leaky HVAC system, to filter and repair problems, and a good amount in between. But today we focus on one simple issue: “my HVAC is not blowing cold air”. There are many ways to solve this issue, but they break down into two main categories – causes that you can fix yourself, and causes that you will need a General Air of Greenville HVAC Specialists to help you with. The first issues we will tackle today are problems you can likely fix yourself. These reasons why “My HVAC is not blowing cold air” should be easy fixes, that you can do with limited tools or aptitude for handiwork. If you find yourself holding your hand to your air vents, wondering “why is my HVAC blowing lukewarm air”, then make sure you run through these solutions first, before scheduling a professional. If you find your HVAC unit is not blowing an appropriate level of cold air, it could be caused by a dirty outside unit. The outside unit is where the hot air from the inside of the house is dissipated, with a compressor and fan located close to your house. It should be easy to assess the level of dirt and clog around your outside unit, and just as easy to solve the problem. The outside unit is durable, so the first step is to get a hose and use a delicate setting to blow out some of the clogging debris. Be careful to use a more delicate setting as to not damage the fans, which help the compressor outside cool the air inside your home. Once this is done, clear away any growing weeds from the vents, and remove any debris that the hose might have missed. Clearing the debris should help allow the compressor to move air more efficiently, and thus cool your home quicker. This process is helpful also even if you’re not asking yourself Why is my HVAC not blowing cold air, and can keep everything moving smoothly. This solution is best checked before you seek help, because it could be embarrassing if you bring a professional out to your house to push a button for you. Most HVAC unit’s thermostats have a setting that says “Fan – On, Auto, Off”. The first and last settings are self-explanatory, “On” means that the fan is always on, and “Off” means that the fan is not running. “Auto”, means that the fan is only running when cold air is being pumped through the house. This is where the problem may lay. If you are saying “My HVAC is not blowing cold air”, and you check your thermostat to see that it is set to “On”, then you’ve found your solution! Since the fan is always running, it is moving warm air when the system isn’t producing cold air. Therefore, it is blowing air that isn’t cold! Another possible solution that is an easy in-home fix for the dilemma of “my HVAC is not blowing cold air”, is a dirty air filter. A dirty air filter can keep cold air from moving about your house, and can actually increase the strain on your HVAC system. This can cause long-term damage to an evaporator coil, and increase energy costs. Simply replace the clogged dirty filter with a new clean one. If these possible solutions don’t yield results, it may be time to call professional help at General Air of Greenville SC to assess the situation. Since these solutions need someone to help, we will list them so you can better understand what you might be up against. Now that we have definitively answered, “Why is My HVAC Not Blowing Cold Air”, you can take the first steps toward fixing your AC’s cold air problem. But, if these problems persist, do not hesitate to contact General Air of Greenville South Carolina.